Continuing the short series of posts on some of the newer artists and groups that I listen to regularly, I have to give a big shout out to Gota. His full name is Gota Yashiki, but he performs and records under his first name only. I am listening to this guy all the time. Whether it’s CDs in the car or the big system at home, earbuds stuck into the laptop, or the SanDisk player on an airline flight, a little Gota always perks me up. 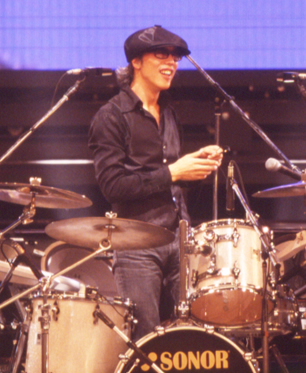 Born in Kyoto, Japan, a young Gota learned traditional Japanese Drums. In 1982, at the age of 20, he moved to Tokyo and became a drummer in various reggae groups and started experimenting with electronic dubbing. By 1988 Gota was based in London and heavily involved in studio remixing and working on film soundtracks. He also worked with a number of top recording artists and groups. Moving beyond just his talent for drumming, Gota became heavily involved in the programming of electronic instruments and remixing. He recorded and toured with Simply Red, and contributed to recordings by Seal, Soul II Soul, Swing Out Sister & Depeche Mode. Alanis Morissette has called him the “Groove Activator” on her brerakout album Jagged Little Pill. He played drums and programmed all the electronic instruments on Sinead O’Connor‘s smash hit Nothing Compares 2 U. 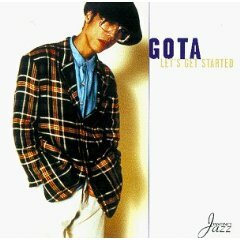 In 2001, Gota released day & night, a strong follow-up to Let’s Get.. I hope these samples of this terrifically creative artist motivate you to buy his CDs. I am believer in artists getting paid and the music I put up here is meant only to whet your appetite and turn you into a paying customer.